The dominant feature in UK property taxation since Spring 2012 has been one of change, change, change. I’ve considered some major developments here, as well as forthcoming changes, which I believe are essential reading for residential property holders and investors. A game-changing development on the horizon for buy-to let landlords is the reduction to tax relief for loan interest. They will no longer be able to obtain relief at 40% or 45% rates of tax and will instead be restricted to relief at 20%. The changes will be phased in over a 4 year period from April 2017. Importantly all buy-to-let landlords holding properties personally, via a partnership and trustees will be affected by these rules whereas companies will not. Clearly both new and existing investors should be considering their position, how they hold their rental portfolio and possible alternative approaches. The wear and tear allowance,where a 10% deduction is given annually on furnished let properties, will be replaced from April 2016 with a relief that allows landlords to deduct the cost of replacing furnishings in the property. In April 2013 large-scale changes were introduced for companies holding or purchasing UK residential properties. A new 15% SDLT rate and an entirely new tax – the Annual Tax on Enveloped Dwellings were introduced amongst other changes. Whilst there are exemptions from these rules for rental businesses and developers a high level of care is required to ensure that the conditions of the exemptions are met. The divergence in personal and corporation tax rates continues to be a focus for investors. The main rate of corporation tax has been on a downward trend from 24% in 2012-13 to the current rate of 20%. It is intended to drop again to 18% by 2020. This and other changes potentially make corporate ownership a very attractive proposition for long-term property investment businesses. However, caution is advised since extraction of profits and costs of establishment also need to be considered. Wise investors will also wish to consider the appropriate voting, income and capital rights for family members and business partners. Changes in Principal Private Residence Relief “PPR” for home owners mean that only the last 18 months of ownership can automatically qualify for the capital gains tax exemption (rather than 36 months under the old rules). Other restrictions on the ability of non-UK residents to claim capital gains tax relief on a UK home have also been introduced. From April 2015 both companies and individuals are now subject to a capital gains tax charge on disposals of UK residential property (having previously been exempt). Broadly, only the gains from April 2015 will be taxable so it is advisable for owners to get a valuation of the property at April 2015 to evidence this. 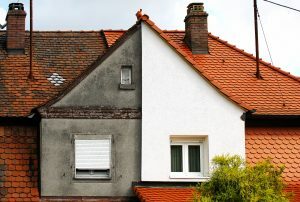 Non-UK resident home owners will also be affected by the changes to PPR highlighted above as broadly they or their spouse will need to spend 90 days at the property in the tax year to be eligible for PPR that year and they will now need to consider if spending 90 days at the property would have an impact on their non-UK residence status. What does all this change mean for me? An environment of change brings increasing complexity. All this means that when deciding how to own residential property your objectives and circumstances need careful consideration. For some individuals it will be better to own property in their own name and for others it may be more appropriate to use a partnership, company or trust. Existing property owners affected by these changes should review the position and consider if longer term objectives are appropriately met. Whilst every effort has been made to provide information current at the date of publication, tax laws around the world change constantly. In addition this article is based on proposed legislation which may change before it is enacted into law. Accordingly, the material should be viewed only as a general guide and should not be relied on without consulting your local KPMG tax adviser for the specific application of a country’s tax rules to your own situation. Previous Post Renovation: What sort of work qualifies for the 5% rate?